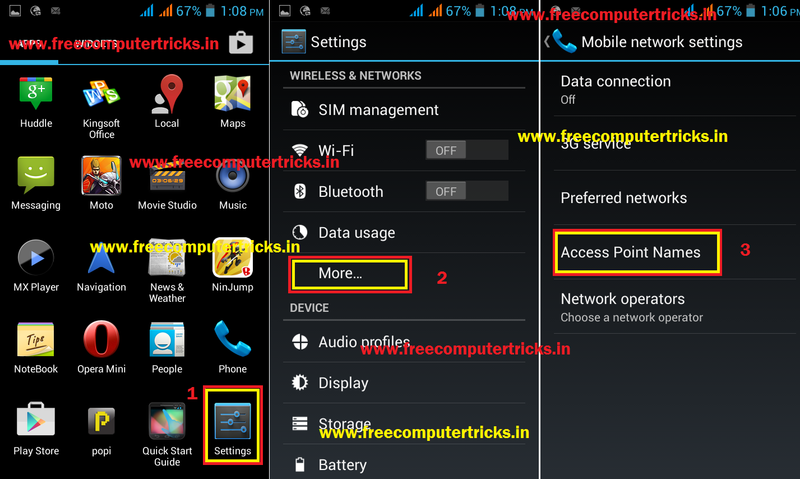 Here you will know about the manual Internet setting for the Android Smartphone, the below is the example of Karbonn S2 Titanium and Titanium Plus. 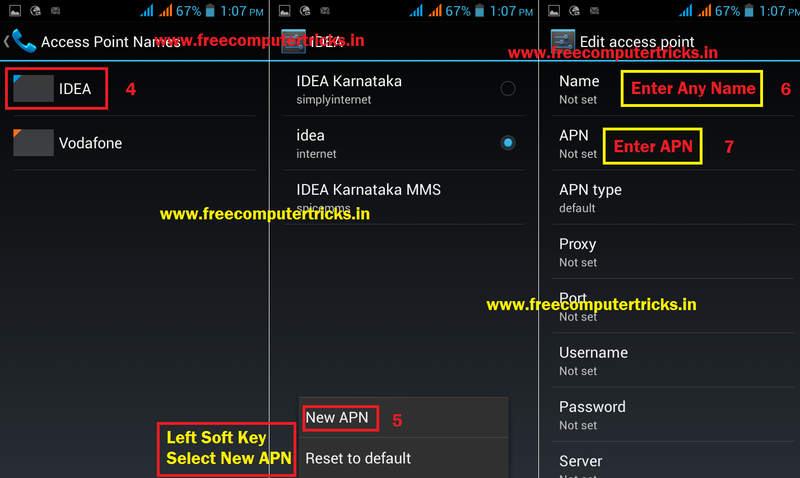 The complete step by step process of manual Internet Settings APN for the Karbonn S2 Titanium mobile phone. The same process can be follow for all other Android Smartphones, the option may slightly different but the basic GPRS or Internet Settings are same. Here is the example of Karbonn S2, how to manually do the GPRS/Internet Settings on Karbonn S2? Then set the APN (Access Point Names) as per the operator i.e. for Idea the APN is internet.